I have been eyeing this Life-Changing Loaf of Bread recipe from My New Roots for a good while now. 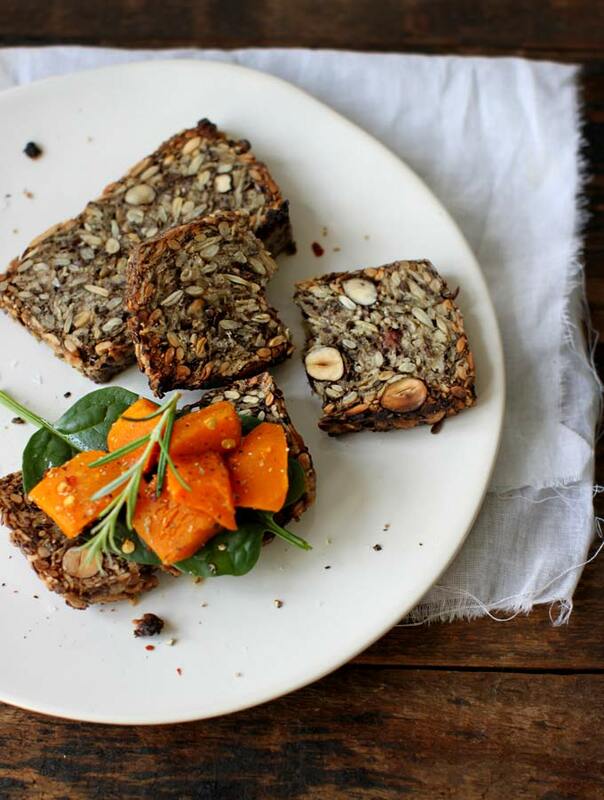 Not only is it insanely healthy and full of nutrients, but it doesn’t require all the meticulous effort a standard loaf of bread can have. Simply mix the ingredients together, let it sit for two-hours, and bake. The name says it all with this life-changing recipe. 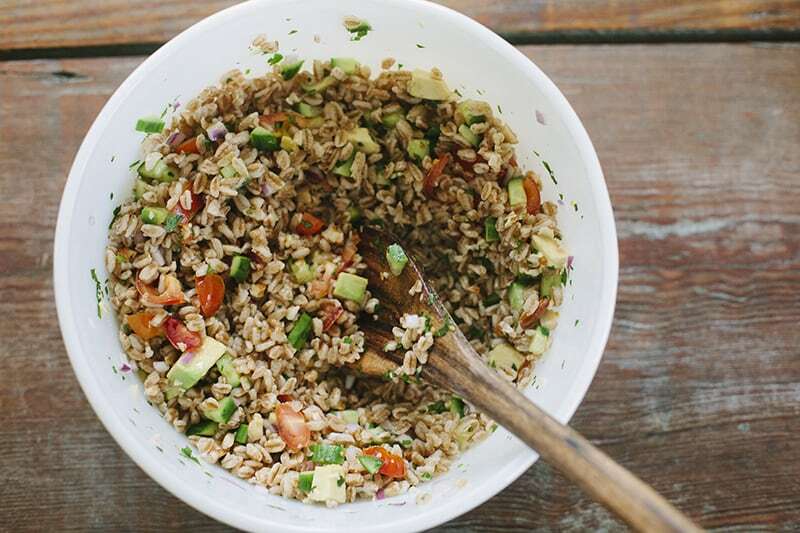 Bleubird posted this delicious Balsamic Farro Salad. It’s been made many-a-times in my home since she posted it. The great thing about this is that you can make it with several different variations. I’ve used bulgur instead of farro before, and last night we used Goddess dressing from Trader Joe’s instead of balsamic. Bon appetit! I was introduced to 101 Cookbooks a couple years back and frequently check it for new recipes. 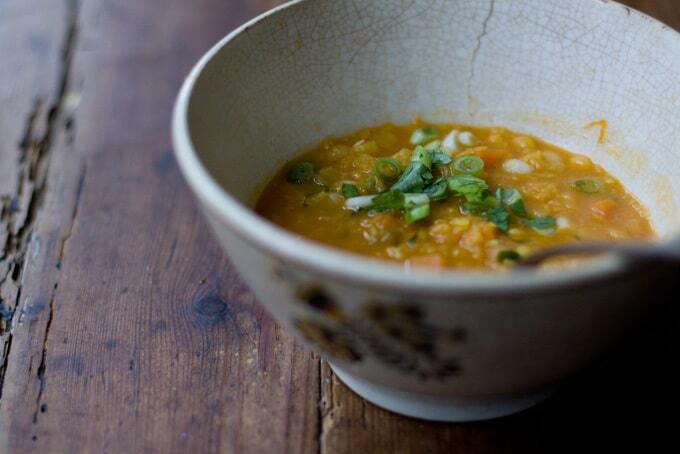 Although I’ve had some wins and fails in the kitchen, I’d have to say the Coconut Red Lentil Soup is pretty tried and true. I usually double the recipe and then freeze half of it to thaw out later. Sometimes we just eat it as a piping hot bowl of goodness, or we pour it over rice. 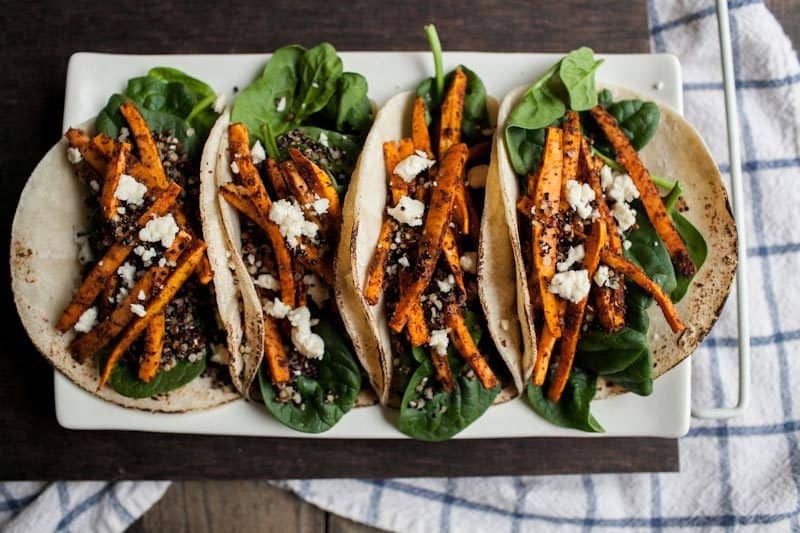 One of my favorite meals yet, are the Crispy Quinoa and Mole Sweet Potato Tacos that Naturally Ella shared on A House in the Hills. I’ve also made these with roasted onions and squash on top. While you’re at it, try your hand at making homemade corn tortillas. 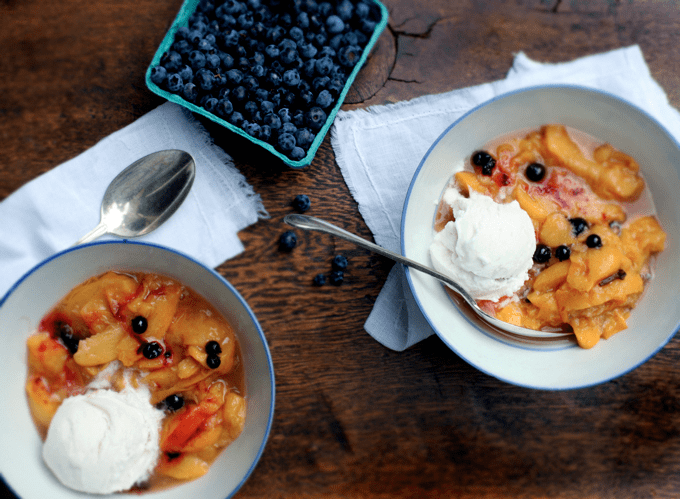 Get your boost of potassium with the Sultry Summer Peaches & Cream Recipe from My New Roots. This dessert is incredibly simple to whip up for a party or as an afternoon treat. The coconut ice cream used is also vegan, which is perfect for any lactose intolerant ladies out there like me. How about we swap recipes? What are your favorites? This is definitely “up my alley”!